This detached home in Killay, Swansea, requested several different services from Progleam, situated next to a woodland area there was a requirement for moss removal from patios, paths and a driveway. A full facia and guttering clean was also provided. Progleam ensured attention to detail and customer satisfaction was paramount, always striving to go the extra mile for the customer. 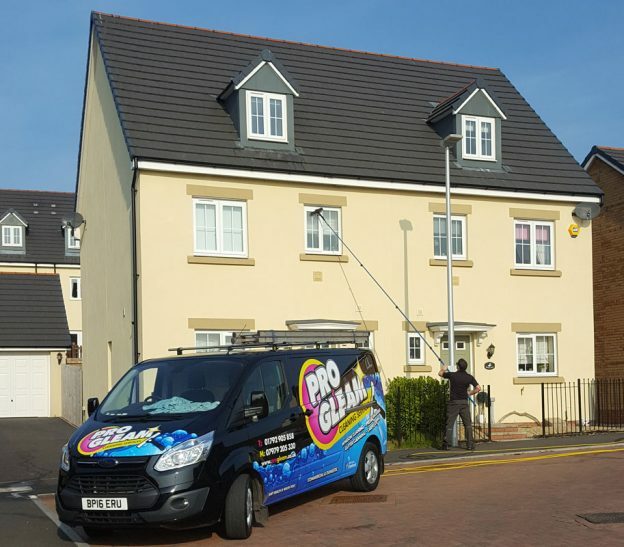 If you would like us to perform a site survey to determine your cleaning requirements or would like to discuss any aspect of our cleaning services, please call now on 01792 905858 or email danjames@progleam.co.uk for a free no obligation quote. Any property from the roof to the ground, any height, any location, any area. Any area, any site location – we can clean anything, anywhere.